OSU’s stat of the week was unfortunately noteworthy for the wrong reasons. Oklahoma State had a season high against the Baylor Bears last week, but it wasn’t in a desirable category. The Cowboys recorded a season-high 133 penalty yards last week in their 35-31 loss. OSU is now second to last in the conference in penalty yards and has averaged 84.5 yards in penalties in conference play this season. OSU’s head coach Mike Gundy said the Cowboys’ performance against the Bears showed a lack of discipline from the team, and those issues will prevent success in the future if unaddressed. 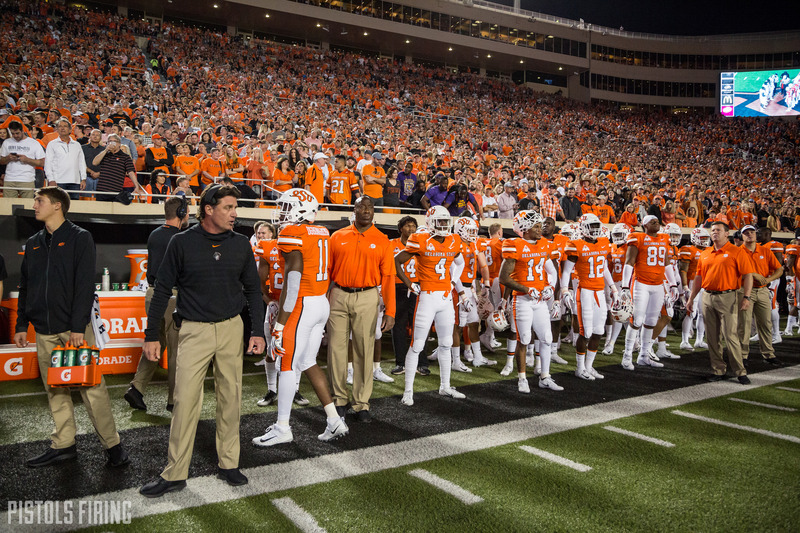 “We’ve got to do a better job,” Gundy said in this week’s press conference. “The illustration Saturday tells us we’re not doing a good enough job of coaching discipline and structure … we certainly can’t play good football, and have a chance to be successful when the clock expires, with all those different situations that happened on Saturday. The Cowboys’ current penalty average of 77.7 yards per game puts them at No. 122 in the country. Additionally, it’s OSU’s highest recorded penalty average ever, but this is with the knowledge that penalty statistics only go back to 2000 (Big 12 only officially recorded statistics after 2001). The closest season to OSU’s current average is in 2002, when the Cowboys were 11th in the conference in penalty yardage with 71.6. The silver lining for the Cowboys is that Oklahoma isn’t much better. The Sooners are sixth in the conference in penalties and come off a game against Texas Tech where they committed 10 penalties for 113 yards. Rivalry games usually have the tendency to feature more personal fouls, and said penalties could play a huge difference if this game were to stay close. The Cowboys will have to limit costly mistakes like that if they want to not only compete with Oklahoma but also for a bowl bid.